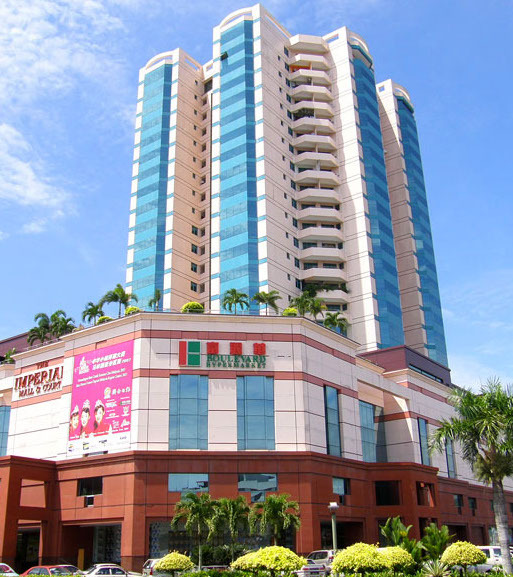 Imperial Hotel, Miri is centrally located in the heart of Miri Resort City with shopping complexes, commercial buildings, and entertainment facilities within walking distance. The hotel offers 119 units of business class hotel guestrooms and 146 units of comfortably designed Imperial Suites. The hotel encompasses a swimming pool, modern fitness centre, sauna, restaurant and café, meeting and conference rooms that able to accommodate 10 to 1400 people, business centre, Wi-fi and Internet Access, shopping convenience adjacent to the 4-storey Imperial Mall Shopping Complex that houses 146 retail shop-lots offering a wide array of goods and services.